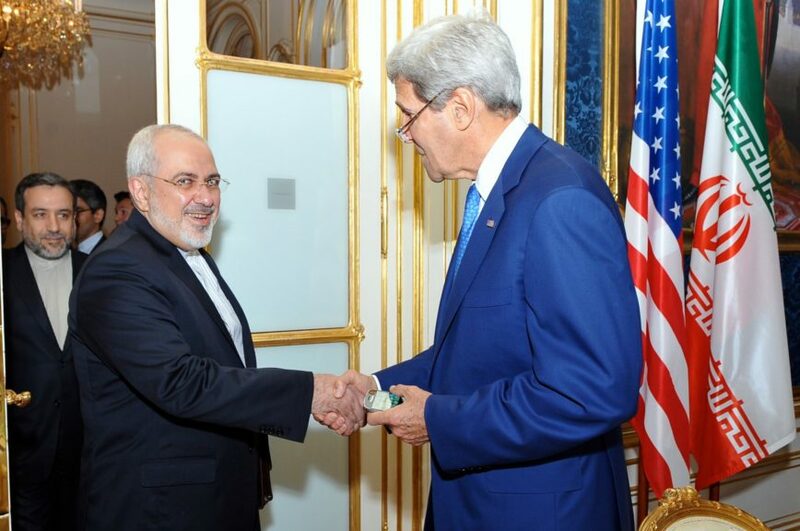 Why Was Iran Given Secret Exemptions from Key Nuclear-Deal Requirements? In an important report issued yesterday, the Institute for Science and International Security, a Washington, D.C. arms-control think tank, revealed that Iran was secretly granted exemptions to the July 2015 nuclear agreement (the Joint Comprehensive Plan of Action or JCPOA) so it could meet compliance requirements for what the agreement calls “Implementation Day” – when Iran was to receive an estimated $150 billion in sanctions relief. Not coincidentally, the same day Implementation Day was announced (January 18), U.S. officials also announced a swap of 18 Iranian prisoners held by the United States for five U.S. citizens who had been illegally held by Iran. An additional 14 Iranians were removed from an INTERPOL wanted list. The Institute report cites an unnamed official who said that without these exemptions, some of Iran’s nuclear facilities would not have been in compliance with the JCPOA by Implementation Day. Allowing Iran to violate a cap of 300 kg for its enriched-uranium stockpile under certain circumstances. The Commission gave Iran an exemption for reactor-grade enriched UF6 (uranium hexafluoride, the feed material for enrichment centrifuges) in the form of low-level and sludge waste. This may have been a minor violation although the report said the amount of this material is unknown. Ignoring “lab contaminant” UF6 enriched to 20 percent uranium-235 judged as “unrecoverable.” Although this may also be a minor violation, the report says the amount of this material and how it was judged unrecoverable is not known. Exemption for large “hot cells.” The JCPOA allows Iran to operate or build hot cells (shielded chambers used to handle radioactive substances), but to ensure they are used for peaceful purposes such as producing medical radionuclides, Iran agreed that for 15 years these cells will be limited to no more than six cubic meters. The Commission gave Iran an exemption to operate 22 larger hot cells. According to the Institute report, these larger cells could be secretly misused for plutonium-separation experiments. The Institute also raised concerns that the International Atomic Energy Agency (IAEA) is not adequately monitoring Iran’s hot cells and that Iran is exploiting this exemption to win approval to operate more hot cells with volumes greater than six cubic meters. This is a potentially serious exemption because plutonium-separation experiments have only one purpose: developing the capability to produce plutonium nuclear-weapons fuel. The report also noted two other secret decisions by the Joint Commission. The Commission agreed to a loophole on a 130-ton cap for Iran’s heavy-water stockpile by allowing Tehran to store large amounts of heavy water in Oman that remain under Iran’s control. Heavy water is a nuclear proliferation concern because it is used in a reactor design that produces large amounts of plutonium. Under the JCPOA, Iran will be permitted to operate a redesigned heavy-water reactor that will produce less plutonium than the original design and will require less heavy water. The Institute also expressed concern that Iran is producing more heavy water than it needs and far faster than experts had predicted. The Institute worries that this loophole and America’s purchase of some of Iran’s heavy-water risks legitimizing Iran as a seller of heavy-water on the global market without Tehran demonstrating that it will abide by international nonproliferation norms for the sale and procurement of this substance. The Commission established a technical working group to evaluate a small amount of enriched uranium remaining in the equipment of a nuclear plant. The Institute said it is unknown whether the working group will give Iran an exemption for this enriched uranium. Except for the hot-cells exemption and the heavy-water loophole, these issues are probably minor violations that the Commission could have easily publicly justified. The fact that this was done in secret is consistent with a pattern that began earlier this year when observers noted that the IAEA’s Iran reports became much shorter and no longer contains key figures and details on Iran’s nuclear program. I explained in a March 9, 2016 NRO article that the IAEA probably started dumbing down its Iran reports because the West conceded to Iran’s demand for vague IAEA reports during the nuclear talks in a secret side deal that the Obama administration failed to disclose to Congress. One the most notorious JCPOA secret side deals, discovered by accident during a July 2015 trip to IAEA headquarters by Senator Tom Cotton (R., Ark.) and Congressman Mike Pompeo (R., Kan.), concerned an agreement between the IAEA and Iran allowing Iran to inspect itself for evidence of past nuclear weapons work. Obama officials said that because this was a confidential agreement between Iran and the IAEA, they were unable to send a copy to Congress. I wrote in NRO last August that this agreement probably was in fact a ploy by the Obama administration to conceal a controversial aspect of the JCPOA from Congress by moving it into an agreement that Congress could not access. This secret side deal infuriated many Republican congressmen who believed it violated the Corker-Cardin Act’s requirements that the administration turn over to Congress all documentation associated with the JCPOA for a congressional review before Congress voted on the agreement last September. And of course there is the shipment of $400 million in cash secretly flown to Tehran from Geneva last January to win the release of four Americans held by Iran. This secret payment, revealed on August 3, 2016 by the Wall Street Journal, amounted to ransom and was not briefed to Congress. Making the story worse was a later revelation by journalist Claudia Rosett of 13 transfers of $99,999,999.99 from the Treasury Department to the State Department on January 19, 2016 to pay an undisclosed “foreign claim.” It is widely believed these 13 payments represent an additional $1.3 billion payment to Iran which Congress was also not informed of. WAS CONGRESS NOTIFIED ABOUT THE IMPLEMENTATION-DAY EXEMPTIONS? It is unclear whether and how the Obama administration informed Congress about the JCPOA’s secret exemptions and loopholes described in the Institute’s report. The report says the Obama administration “informed Congress of key Joint Commission decisions on Implementation Day but in a confidential matter.” This indicates Congress was not informed before Implementation Day about the exemptions. I also note Implementation Day (January 16, 2016) fell on a Saturday, which means there was no one around in Congress that day to receive notification of the exemptions. I am concerned that the report’s language indicates the Obama administration did not provide full details of the Joint Commission’s decisions to Congress and that any information it did provide was not made available to most members – it probably was contained in classified documents sent only to top congressional leaders, the Senate Foreign Relations Committee and the House Foreign Affairs Committees. James Rosen reported on Fox News’ Special Report last night that a congressional source told him senior congressional aides were briefed on the Joint Commission’s decisions. However, Rosen also noted that Democratic senator Robert Menendez (D., N.J.), one of the JCPOA’s leading critics and a senior member of the Senate Foreign Relations Committee, said he was never briefed on the Commission’s decisions or the exemptions. Congress needs to get to the bottom of this. My guess is that the alleged briefings given to senior congressional staff probably were incomplete and, like most JCPOA documents, mired in incomprehensible technical jargon to confuse the issue of the exemptions. If Senator Menendez did not know about the exemptions, I refuse to believe a clear briefing was provided on them to Congress. WHY THE SECRECY SURROUNDING THE NUCLEAR DEAL? The bottom line in the Institute for Science and International Security’s report is that the excessive secrecy of the JCPOA is preventing the American people and the U.S. Congress from assessing Iran’s compliance with the nuclear agreement. I agree. The IAEA provided minute details of Iran’s compliance with its nuclear agreements for many years until January 2016. Although some experts have said this information is not being released because of Iranian demands, when controversial matters such as new exemptions granted Iran and the $400 million ransom payment are kept secret and not clearly disclosed to Congress, the only explanation is that this information is being deliberately withheld to protect the nuclear agreement from Congress. That’s obviously what happened with the exemptions which indicate major new weaknesses in the nuclear deal. If Congress knew about this last January it would have led to hearings and negative press coverage which would have spoiled the victory laps the administration was taking to celebrate Iran’s “compliance” with the president’s legacy nuclear agreement with Iran. This lack of transparency is an effort by the administration to maintain the fiction that the JCPOA is a great achievement by preventing Congress and the American people from knowing how weak and dangerous this agreement really is. That’s not the way our system of government is supposed to operate. Congress is a co-equal branch of government and has oversight responsibility of the Executive Branch under the Constitution. It is unacceptable for the Executive Branch to collaborate with foreign powers, U.S. enemies, and international organizations to hide crucial national security information from congressional oversight. This is just the latest reason why, if he wins the presidency, Donald Trump should tear up this dangerous and fraudulent nuclear deal on his first day in office.